The San Jose Museum of Art in San Jose, California is a gateway into exploring contemporary and modern art. Located right in the bustling heart of Silicon Valley, the focus on innovation and pushing the boundaries is shared by both the local tech businesses and the art museum itself. The museum has self-guided or guided tours available, as well as an on-site café and shop. Exhibitions change regularly and are on constant rotation to ensure visitors can always see different works from their impressive permanent collection, as well as a variety of changing exhibitions on loan from other galleries or artists in residence. There are around 2,500 modern and contemporary artworks in the San Jose Museum of Art permanent collection. These date from classic photographs from the 1920s through to cutting age installations from 2010s and span a huge range of artistic media including paintings, installations, new media works, sculpture, ceramics, drawings, paintings, prints, photographs, videos and artists’ books. Much of the work is from artists of the United States West Coast and Pacific Rim area, lending a local flavor to a lot of the exhibits. The permanent collection of art also includes a lot of groundbreaking and significant new media pieces, which were purchased or donated to the Museum in order to expand its unique and varied collection. 95% of the works in the collection have been generously donated by artists or other interested parties. For instance, Jennifer Steinkamp’s digital animation Fly to Mars 1 (2004) is a projection that erases notions of viewer and object by constructing a completely immersive experience. The projection is of a tree, appearing hyper-animated and stubborn, who moves through a range of forms indicative of the four seasons while twisting and writhing. The exhibit’s name comes from this strong-willed motion, as the tree seems to be attempting to leave the earth behind and fly to Mars. Another new media piece of note is Catherine Wagner’s Pomegranate Wall (2000). This exhibit uses MRI technology to create detailed images of fruit, and then displays them on ten light boxes with printed durations. The images shown are of pomegranates, which Wagner chose because she was fascinated by the dual meanings it has traditionally held. The fruit’s internal cell-like structure intrigued Wagner due to its classical associations with both Christianity and fertility. The combination of medical technology and aesthetics also represents an observation on the fundamental cultural elements of art and science and the ways the two can interact in society. Ben Rubin and Mark Hansen’s The Listening Post (2002-2006) is another example of adventurous new media art, which is made of screen modules on support beams, connective wire, eight audio speakers and software. The masses of small screen modules display personal messages in a gently curved, immersive screen. Viewers are invited to read as many or as few of them as they wish, rendering it a space to truly listen to other people’s thoughts with no way to influence them. Doug Hall’s installation Chrysopylae (2012) is a contemporary and fascinating example of video portraiture, providing a dynamic moving portrait of the famous Golden Gate Bridge. Hall went to great lengths to achieve the shots: He synched two HD cameras up in order to create a panoramic view of the structure, he climbed to the top of the bridge’s towers and he took his cameras to sea to experience the bridge from below. The resulting 26 hours of footage is edited down into a 28 minute video that tells of the everyday and the immense, emphasizing the iconic grandeur of the bridge alongside the ordinary activities it hosts. Memoria (2000), by Bill Viola, focuses rather somberly on the essence of humanity. As another striking work of new media, it consists of a DVD projected onto a silk screen, showcasing an intimate portrait of human suffering. The DVD plays a recording of a man in pain. Only his face is visible, flickering in and out of sight like a fleeting memory or half-forgotten dream. The work shows the universal plight of suffering, aiming to deeply affect its viewers as well as demonstrate the flow of emotions, such as the swell and dispersal of sadness and grief. Within the collection are other works by artists which represent a large amount of schools and movements. There are five paintings by Fred Spratt from the abstract movement, all painted in the 1960s. They feature bright, almost geometric blocks of color evocative of landscapes but defying common meaning. From slightly later, there are also two paintings by Joan Brown. Her works, Simple Figure #2 (1974) and The Journey #1 (1976) show people: The former is vague and human-like, while the second clearly depicts a pair of young lovers striding determinedly across the image. Like Doug Hall, Brown also works to identify physical progression of time with internal journeys. Other interesting items include six works by Chinese-born artist Hung Liu, four paintings and two prints using mixed media. Growing up in China during Mao’s Chinese Cultural Revolution when many styles of art were outlawed as dissenting, her move to the US gave her room to experiment with styles and subjects she had previously avoided, allowing her to incorporate images produced by foreign tourists into her work. An active member during the zenith of the culture identity movements of the 1980s, her work looks at Western stereotypes and perceptions of China with a critical eye. Eleven ceramic sculptures by David Gilhooly form an impressive collection which spans from the 1960s into the 1990s. The ceramics take on a variety of subject matters, from an edible-looking sampler of miniature frog food in #10 Sampler (1989), to a lazy and slightly misshapen feline in Cat (Sluggo) (1968). The comedy in Gilhooly’s work is a breath of fresh air and a reminder that art can be many things – including light-hearted, self-parodying and even funny. The San Jose Museum of Art was founded in 1969, at which time San Jose was still an agricultural community. In the intervening years, the city has changed into a central hub and tech sector that rewards diversity, flexibility and energy. In the same way, much of the art on show in the Museum aims to be innovative and groundbreaking. The collections have been focused on modern and contemporary art since the late 1980s, in order to be distinct from other galleries and museums in the Bay Area. The original building was built as San Jose’s post office in 1892, and it also served as the city’s library before being bought by the Museum as its headquarters. It was listed on the National Register of Historic Places in 1973. The “New Wing” was built in 1991 as the collection increased, in order to create more space to display the collection, and it comprises the majority of the Museum’s exhibition space. 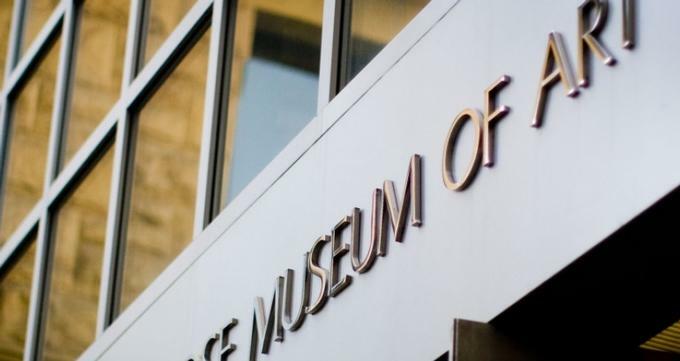 San Jose is a melting pot of cultures and adventurous spirit, and the Museum aims to reflect that through its collections, programs and study. The past and the present are connected through the exhibitions, and the West Coast is presented in context of the rest of the world. It is the premier modern and contemporary art museum in the Silicon Valley area, and aims to be a cultural hub for residents as well as a gathering place for thinkers, an oasis of calm for personal reflection and a source of exciting and vibrant content. The San Jose Museum of Art is proud to be the largest provider of arts education in Santa Clara County. Programs are on offer for children, adults and families in order to teach people about the art of our time and the creative process of artists. To this end, there are a number of outreach programs in schools and special deals available for college courses and educators to work alongside the Museum. Within the Museum’s walls, guided and self-guided tours can offer education and insight. There are also reading areas where visitors can peruse material, and activities focused on making visitors themselves make art. Sometimes during vacation times, the SJMA runs art camps for children to teach them about creativity, critical thinking and collaboration, though these change by season and demand. The San Jose Museum of Art is easily accessible by public transport as well as being close to plenty of car parking spaces. Visitors can take a 15 minute walk from the Caltrain Diridon station, or exit the light rail system at the Santa Clara Street stop for easy access.